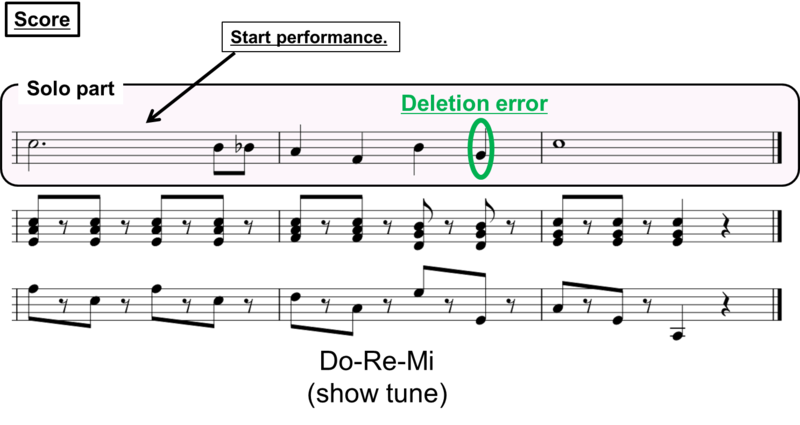 Acoustic Automatic Accompaniment System for Musical Performance with Errors and Arbitrary Repeats and Skips. a human performance with insertion/deletion/substitution errors and arbitrary repeats and skips in real time. Videos with scores in [Download PPTX file]. Need any browser corresponding to video tag in HTML5. Point: a Repeat and tempo changes. Point: Many Errors and Repeats in short time (time 00:39~end). 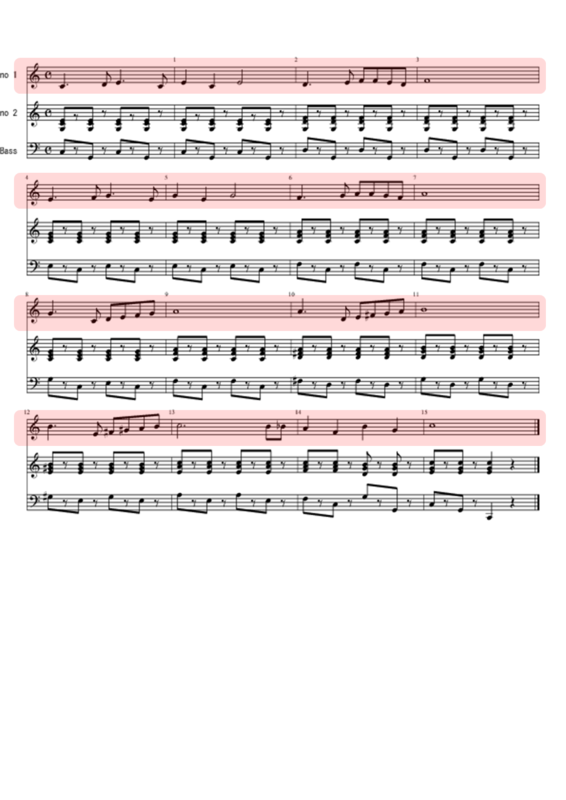 Pink regions in the below score are the human performance part.